Young people are on fire for the Lord. Pray for latter rain of the Holy Spirit, and let us humble ourselves before each other and before God. Our growth has occurred despite the “official position” voted by two conferences (Upper Columbia and Texico Conference) banning all WCAS events within their territories. Our mission continues because it is Biblical. I regarded the Seventh-Day Adventist church members as stubborn, dry Christians, Pharisees, judgemental and law believers. Thank you for praying for your church. Thank you for looking up, for soon Jesus is coming ! As for me, I have grasped this message and movement tighter over the years. I do not ever plan to leave, God helping me. 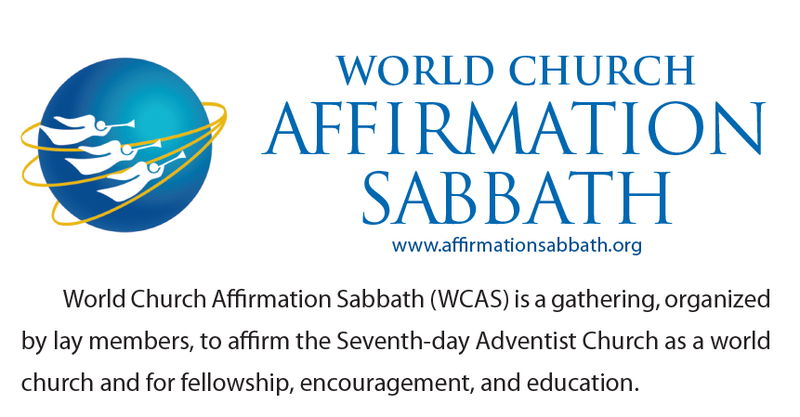 More Than a Christian: What Is a Seventh-day Adventist? Would you believe me if I told you that there is one verse in the Bible that captures the essence, the core, the very heart of what it means to be a Seventh-day Adventist? In all the debates over the doctrine of justification by faith, there is one point that is usually overlooked by many fundamental Adventists which gives the teachers of error an advantage. Jesus is God because the Bible says so. Jesus is also the Son of God because the Bible says so. A few days ago I received a short email from the British Union Conference President forwarding to me an email which he received from someone in the States. Daniel was not on trial in the lions’ den. Babylon was. Jeremiah was not on trial in the pit. Zedekiah was. Paul, standing with chains before Agrippa, was not on trial. The king was. These conversions to truth will be made with a rapidity that will surprise the church, and God's name alone will be glorified. Behold what Evolution hath wrought. If eons ago we winced at jazz, we now jerk and twitch to gospel rock. Our young girls previously came to church dressed; now they pose in the foyer for selfies in Lady Gaga body sheaths and briefs--candidates for the next #meToo. It should come as no surprise that where we’ve stubbornly followed the non-Biblical model (USA, western world), our church growth is either stagnate or declining. We Had Standards in 1945--How About Today? In an age of shattered social ideals and standards, let our young men and women stand forth as representatives of purity and virtue! This shaking does not remove the church but removes the members whose faith has no foundation, while those who trust in God remain; they can’t be shaken. We are in the last days and God has given us-the Seventh-day Adventist church, the honor of upholding His law and His character to the churches and to the nations! May this coming Sabbath be a blessing to you as you worship God and show His love to others. Be a blessing, so that you may receive more in kind. Amen.